Daily Tip 7: Are You Picking Smart Condiments and Extras? You only use a few spoonfuls at a time, so can condiments really be doing a lot of harm to your weight loss efforts? Condiments can bring a lot of flavor to your food, but if you were to read the food label you would see that many of them could be contributing to that number on the scale. Let me tell you what condiments may be doing you damage. If you are trying to lose weight, I would suggest choosing mostly condiments and extras from the bottom list and small portions of the last three from the top list. You can also make a healthy ranch dressing with Greek yogurt or use Greek yogurt as a replacement for sour cream. *Really anything is fine in moderation, but if the goal is weight loss, you will have to limit the higher Calories options even more than usual! **These lower Calorie options may still be high in sodium, but sometimes you must pick the lesser of two evils (sodium over excessive Calories). Do you step on the scale every morning with the hope of results that never seem to come fast enough? Do you get frustrated? I bet it ruined your day when you gained weight even when you did almost everything right. You probably know it’s wrong to let this affect your mood so much, but you can’t help it. You worked so hard and still went in the wrong direction. It’s probably just water weight, but it still hurts. I’ve been there. This can be so discouraging! But there is a simple solution to this problem that you have probably already thought of while you were reading this – you need to step off the scale! Now this doesn’t mean you never weigh in again. You should still weigh in every week or two to make sure you are on the right track and see if adjustments need to be made to your plan. Mark your calendar and hide your scale away until the next scheduled weigh in to keep the temptation away! Usually a week or two is enough time to see a difference in the scale and motivate you to keep going. The day to day just varies too much and you will be on an emotional roller coaster. If you are truly in this for the long haul then you should focus on what’s on your plate and expect a downward weight trend over weeks and months instead of checking on the day to day. How many of you will need to hide your scale? Daily Tip 5: Can Water Increase Your Metabolism? Do you drink enough H2O? About 60-70% of our bodies are made up of water, so don’t you think it’s important that you do? 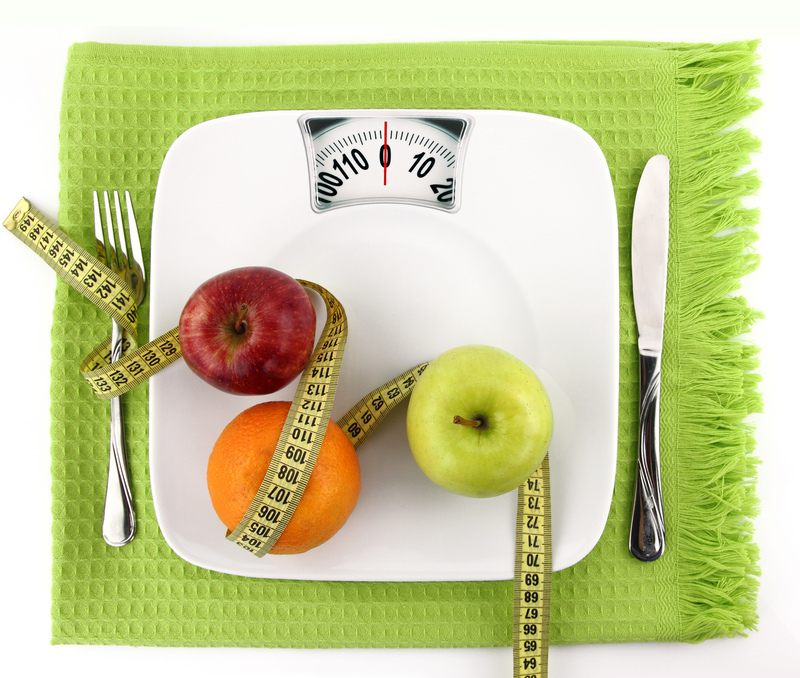 But does it really give you an advantage when working towards a smaller waistline? Drink two cups of cold water immediately after you wake up. A cup is about the size of your fist. Drink two cups of cold water before every meal (if you eat 3-4 meals). 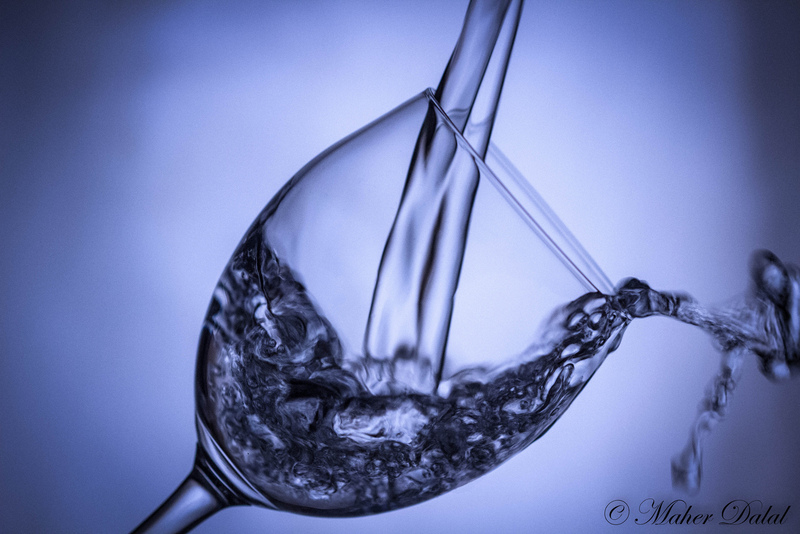 Drink enough water to keep your urine a very light yellow for most of the day. Drink water while you exercise and two cups of cold water for every pound that you lose while exercising to replace sweat lost. *Drinking about 6.25 cups of extra cold water burns about 50 Calories per day and can result in a 5 lb weight loss in one year. If you can’t get yourself to drink this much water or don’t like the taste of water, try adding lemon juice to your water. The few Calories added from the lemon juice may negate the increase in metabolism, but at least you will be hydrated and less likely to overeat during your meal. In my opinion, even artificially sweetened beverages like flavored water, Crystal light, diet pop (may want to go with the caffeine free late at night), or zero-calorie sports drinks can be okay for this purpose if you aren’t ridiculous. MMMmmmm baked potatoes, tacos, burritos, and chili – Some of many foods that just don’t taste right without sour cream. Unfortunately, sour cream is high in saturated fat and Calories so it’s probably something that you have to cut back on if you want to lose a few pounds. 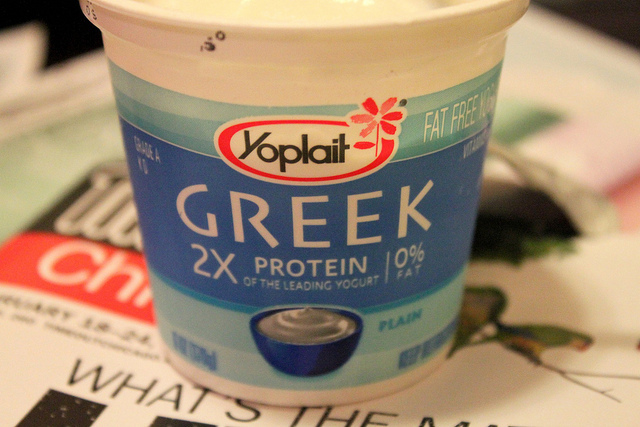 Fat-free plain Greek yogurt is an awesome alternative that’s packed with protein and calcium! You get all the taste and filling protein without all the saturated fats and Calories. In fact, 2 tbsp of Greek Yogurt only has about 15 Calories – about 3 times fewer Calories than sour cream. Greek yogurt is amazing, and I’ve been on a bit of a kick lately. It can be used in equal amounts to replace sour cream on foods and in recipes because of its similar consistency and taste. You can also make ranch out of it, see here.